Divination with cast or fire-cracked bones is an ancient art, stretching back thousands of years into our history; its younger cousin, the tarot, enjoys greater popularity than ever. The Tarot of Bones is an ambitious project combining the nature-inspired symbolism of animal bones with the tarot’s well-loved archetypes to create an unparalleled divination set for the 21st century. As animals exist within vibrant and complex ecosystems, the bones will be ensconced in permanent assemblage artworks using natural and reclaimed materials reflecting both the animal’s habitat and emblems of their respective cards. The Tarot of Bones is a complete 79-card tarot deck with both the Major and Minor Arcana (with bonus Happy Squirrel! ), each card featuring a full-color photograph of the assemblage piece I created for it. The assemblage pieces are be permanent artworks, rather than temporary arrangements of materials, with photography by Sandra Swan. A full companion book is also available, detailing my intended symbolism for each card as well as potential avenues for further personal exploration, along with sample layouts and other material of use to the reader. The Tarot of Bones is self-published to allow me the greatest amount of creative control, and was released in February 2017. 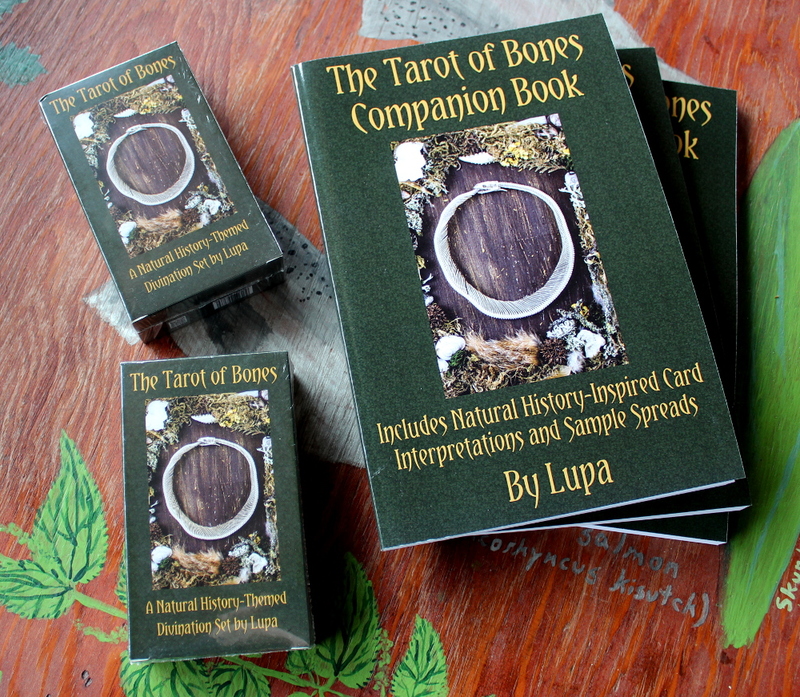 For more information on this ambitious project, please click here to visit the Tarot of Bones website. 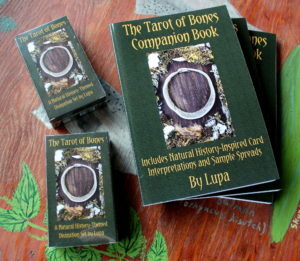 You can also purchase the Tarot of Bones here in the official shop.